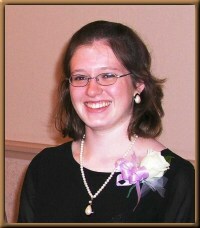 arrie Nixon is currently a student at the University of Kansas, studying music education. She is co-director of the choir at Saint John Vianney Chapel in Maple Hill, KS, where she enjoys working with the women of the choir while the men practice the proper chants. In addition to playing piano, organ and viola, Ms. Nixon has also composed choral music for groups at the University of Kansas, and has sung with the Saint John Vianney Choir on various CDs of chant and sacred polyphony.